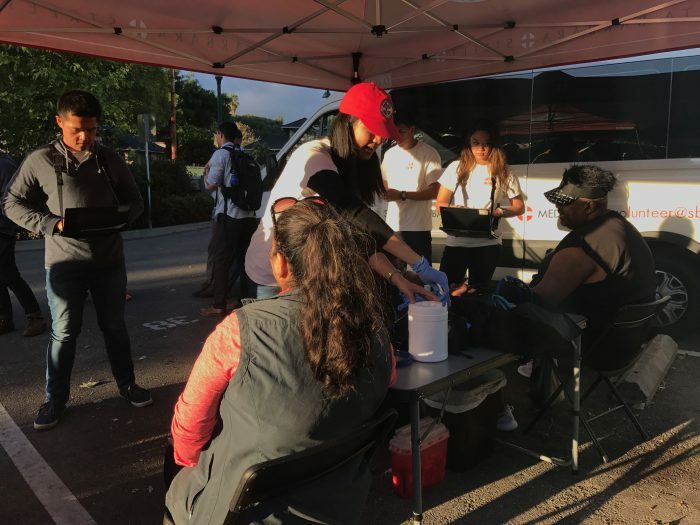 Recently, Doctors Without Walls – Santa Barbara Street Medicine (DWW) received a grant from the Housing Authority of Santa Barbara County, which has enabled it to treat a patient population it could not before reach. The grant is part of the Health Access and Care Coordination (HACC) project, whose mission is to help affordable housing residents, Section 8 residents, and Medical recipients age 65 or older improve their access to healthcare. It does so by bringing together a number of organizations, including DWW, the Housing Authority of Santa Barbara, the Santa Barbara Neighborhood Clinics, and the New Beginnings Counseling Center. With the help of this grant, DWW is now hosting two additional clinics in Santa Barbara. The first of these new clinics occurs every third Monday from 6pm – 7pm at Bradley Studios. The second one occurs once a month or every other month, and rotates between different Housing Authority property sites. The clinics are run by DWW’s Special Missions intern, Matt, and operate in the same way as the traditional clinics at Alameda and Pershing Parks. DWW is seeing a diversity of new patients, including previously homeless (newly housed) and low-income families. The grant has also allowed DWW to create a paid, part-time position to coordinate the Companion Care portion of the HACC collaboration. Companion Care is responsible for establishing relationships between patients and primary care physicians, as well as helping patients access care that DWW cannot provide in its outdoor clinics. 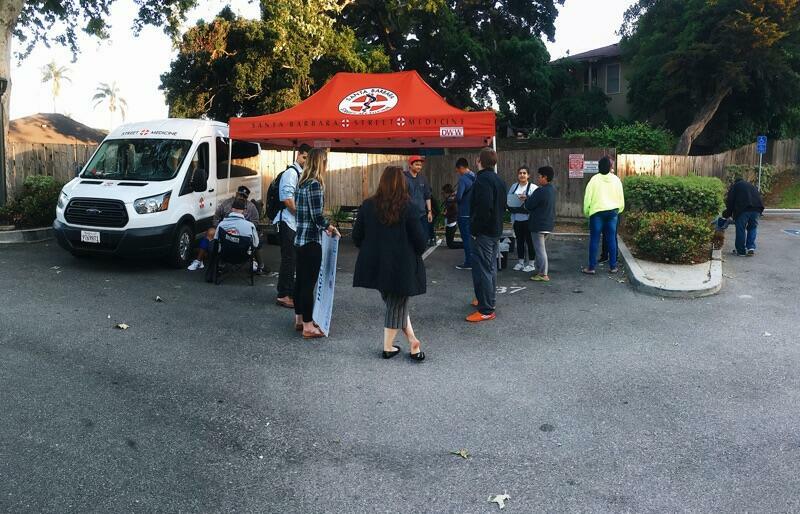 Thanks to the grant, DWW can now help patients in low income housing connect with physicians in the same way they help their patients living on the streets. DWW’s mission is to provide free medical care and supportive services to the underserved community of Santa Barbara. By helping them overcome a barrier to healthcare for their patients, by enabling them to go to where the need is, the Housing Authority Grant is playing a critical role in the advancement of DWW’s mission. 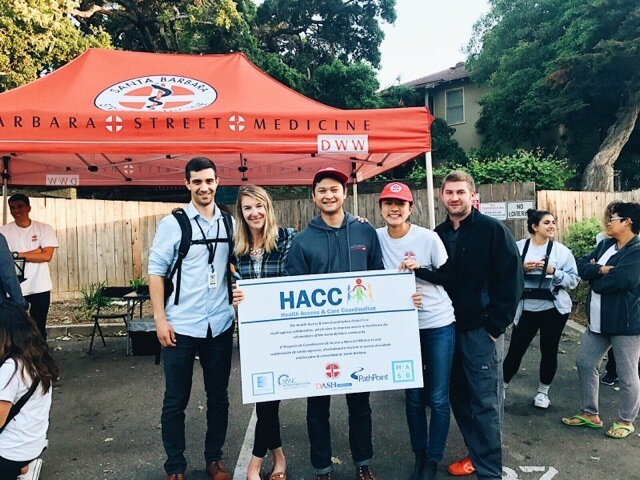 Doctors Without Walls – Santa Barbara Street Medicine thanks the Housing Authority of Santa Barbara for its incredible support.